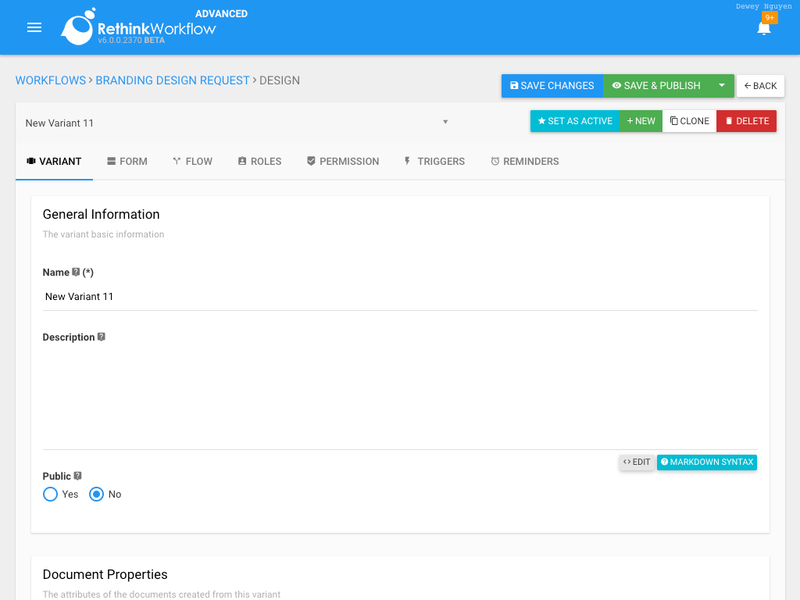 Have you ever had the need of adding / removing fields on the form; changing the routing process of a workflow; or changing the workflow permission? Our system has a solution for this. 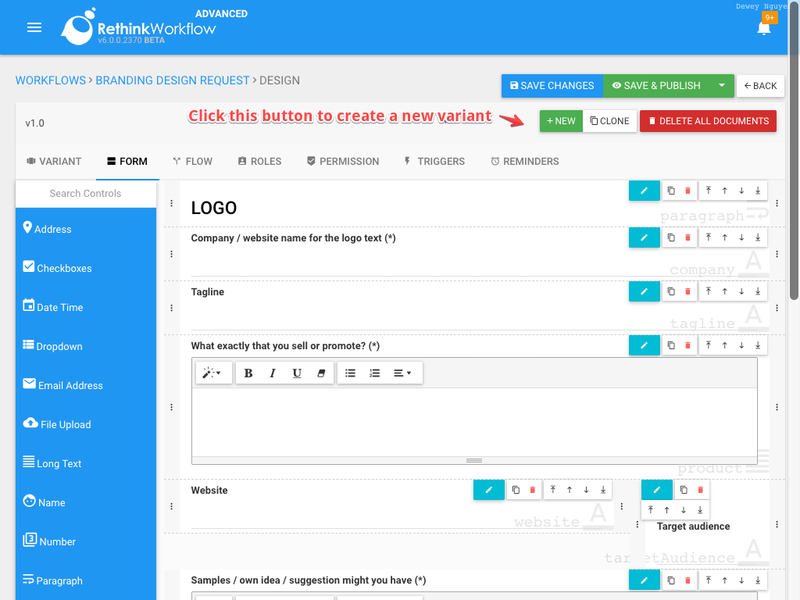 Rethink Workflow allows to create multiple revisions (aka. "variants") so that you can customize your form and process over time. "New Variant" has been created and you can start making changes to the new variant. To change the variant name & description, switch to "VARIANT" tab and enter the required information there. Each workflow can only have one active variant at a time. The active variant is the one that new document can be initiated and is denoted with the orange star. To set a variant to be the active one, select the variant and click on "SET AS ACTIVE" button. 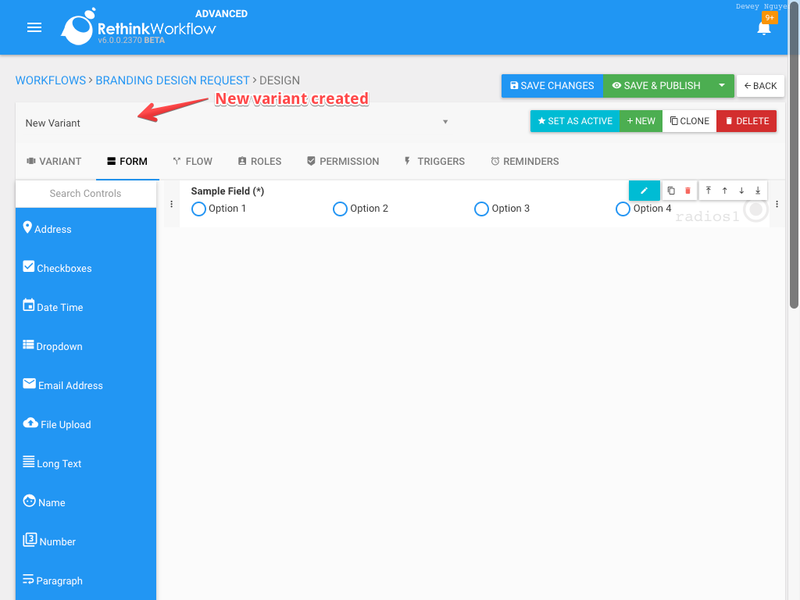 Instead of creating a new variant and starting from scratch, you can also clone an existing variant and start making changes. If a variant has associating documents, you must delete the documents first using "DELETE ALL DOCUMENTS" button before deleting the variant.